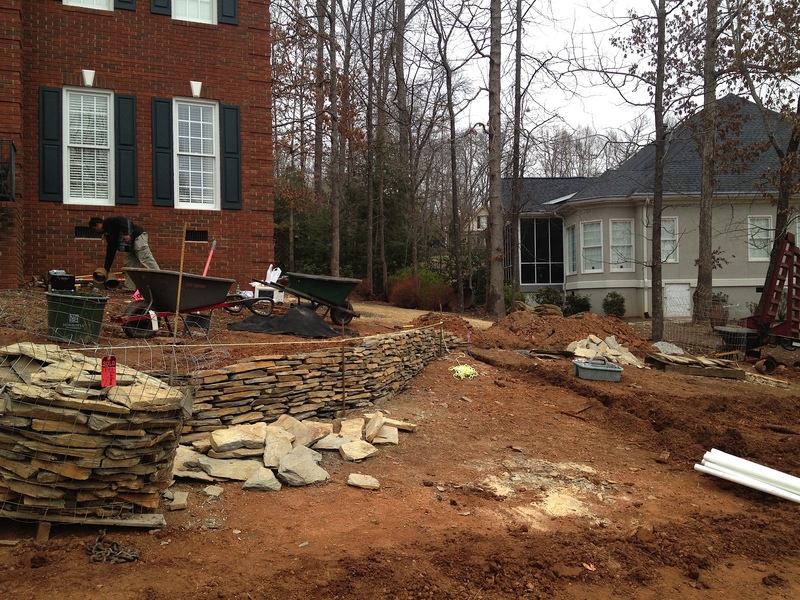 At Cochran Landscape, we work to provide the most aesthetically pleasing outdoor space for your home or business. We understand that opinions and reputations are formed based on presentation and the ability to maintain your image. 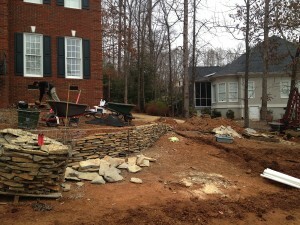 That’s why we provide custom landscaping design and installation at affordable prices. Out goal is to provide landscaping Liberty residents can appreciate year round. Using the latest design ideas and techniques available today. We can turn your space into a landscaping masterpiece based on your own personal preferences and our expertise. We will work to truly allow for your home or business to stand out among the rest. As of recently, there has been a growing demand for various water features as a component of landscaping. Adding an element of water creates a relaxing, tranquil atmosphere that allows you to truly unwind and appreciate the surroundings of your beautifully landscaped home. For great information about water features, check out HGTV’s water feature page. We also offer pond constructing services for your business or home. As simple or intricate as you would like, we are able to create a gorgeous waterfall that is sure to set a comfortable tone. Water features can be a great tool when landscaping Liberty properties, and making sure they stand out. While many are able to appreciate the beauty and excellence of your home in daylight, it may be more difficult to see the architectural features due to poor lighting. Our lighting experts are skilled in the art of showcasing the best qualities your home has with an assortment of lights, exterior decorating, and pathway lighting. Our first concern when it comes to outdoor landscape lighting for our Liberty residents is safety. We provide beautiful lighting services that bring out the best features of your home. But we also offer lighting for your pathways, patios, pools, and yards for the safety of you and your family. We offer various styles for you to select from, including solar panel powered lighting, spotlights to low voltage and LED lights. Whether you are working to keep your family safe or setting the right mood for entertaining purposes, Cochran has everything you need for landscape lighting needs.